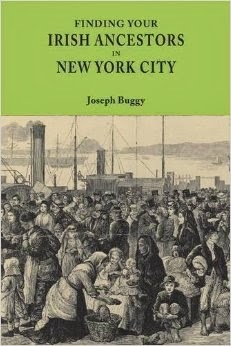 Some years ago, I was approached by a family in the US to do research on ancestors of theirs who had left Ireland in the 1850s. In the course of eliciting what they already knew, it emerged that this research was only the latest stage in a multi-generational quest that started immediately after emigration......click here to continue reading. Thanks, Joe. Definite food for thought there. Wonder if John Grenham ever found out what happened to the little boy? Yes, it's a fascinating story. I'll have to try and find out! I hope you can find out. I read this and have not forgotten that child and that family. Chilling.